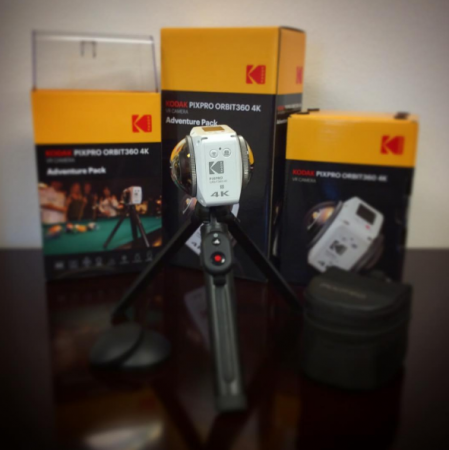 Kodak PIXPRO posted a photo of the highly anticipated Orbit360, showing at least two retail packages. The photo shows three boxes behind the Orbit360. The smallest one seems to include only the Orbit360. The other two boxes are both called Adventure Pack, and appear to include: a tabletop tripod that doubles as a handle, a remote control (looks quite different from the conroller I saw at CES), lens caps, and a camera case. Kodak’s post teases that it’s “almost here,” and that there will be an unboxing video soon. This implies that they’ve already been mass-produced. But based on what Kodak insiders said, I’m still doubting that it will be launching at NAB Show 2017. I’ve asked Kodak for a comment, but they haven’t replied yet. Facebook introduces two new cameras with volumetric VR capture capability!